Prime Minister Modi and the BJP government were seeking to 'weave a web of lies', said Congress' Randeep Surjewala. 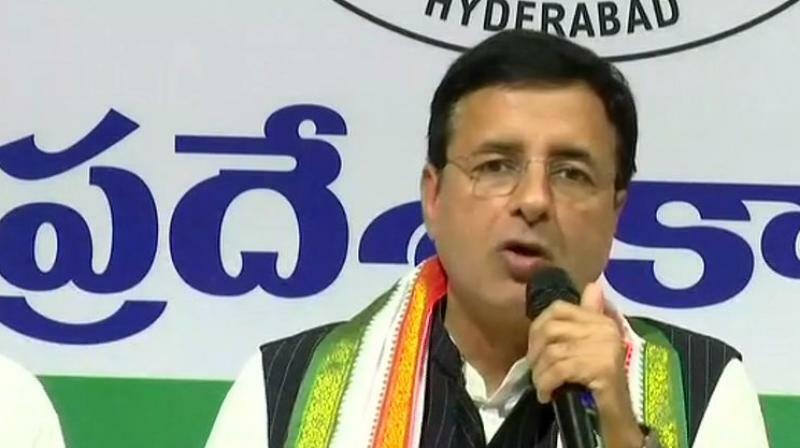 Hyderabad: The Congress on Wednesday said the BJP and Prime Minister Narendra Modi were "latching" on to Christian Michel, the alleged middleman in the AgustaWestland chopper deal who was extradited to India from Dubai, for a "smear campaign" against opposition leaders. Surjewala accused the Modi government of indulging in a "cover-up conspiracy" to hide its role in helping and promoting the "banned company" AgustaWestland and its parent company, Finmeccanica. "While the BJP and PM Modi are seeking fake credit without being subjected to investigation by the CBI for their own complicity and connivance, they are latching on to Christian Michel for committing a smear campaign against opposition leaders. The truth about Christian Michel is already out in the open," he claimed. "Even Christian Michel's sister had come out and reiterated the coercions of falsely naming opposition leaders as a ticket of exoneration of Christian Michel," he said. He claimed that never before in the history of India has a prime minister been found "complicit" in gaining "false evidence" against opposition leaders to seek "revenge". The ruling BJP had said Tuesday that the extradition in the case from the UPA era is a diplomatic victory for India and could spell "serious trouble" for the Congress's "first family", referring to Gandhi's.